Perth, Oct 26, 2018 AEST (ABN Newswire) - Classic Minerals Ltd ( ASX:CLZ) provides the Company's Annual Report to shareholders. The sale of the Doherty's project was concluded on 5 July 2017 with the receipt of the remaining $50,000 part of final instalment of $1,200,000. The project tenure has been transferred to the buyer and the Company no longer holds a stake in this project. 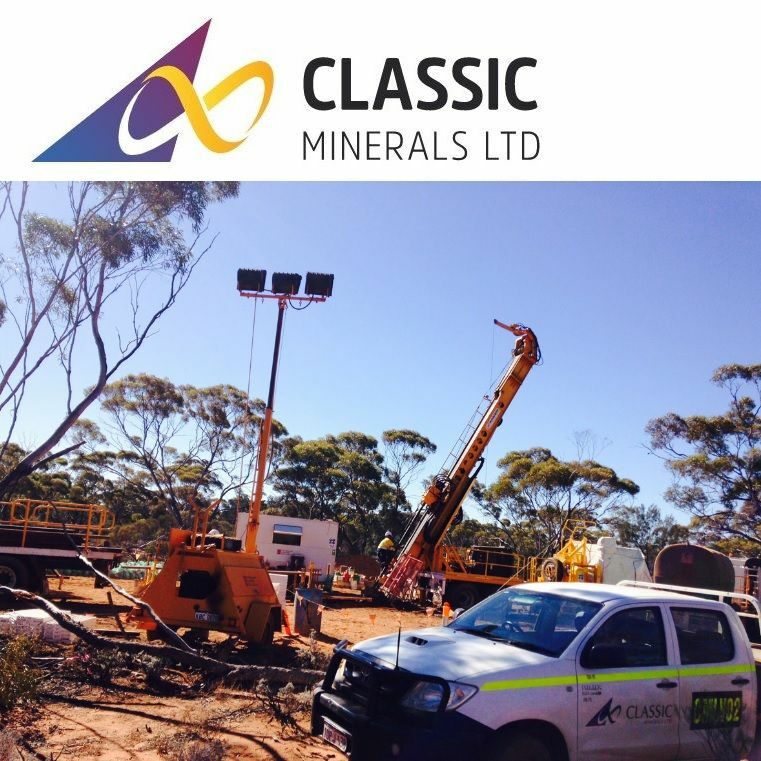 Classic will receive a 7.5% net smelter return royalty from production. The Forrestania Gold Project ("FGP") contains an existing Mineral Resource of 5.9Mt at 1.25g/t for 240,000 ounces of gold, classified and reported in accordance with the JORC Code (2012). A completed scoping study has indicated both the technical and financial viability of the project. In the reporting year Classic engaged both RSC Mining & Mineral Exploration ("RSC") and Mr. Dean Goodwin (Consulting Geologist) to advance the resource base of the project. A total of 70 holes for 10591m were completed in the reporting year.